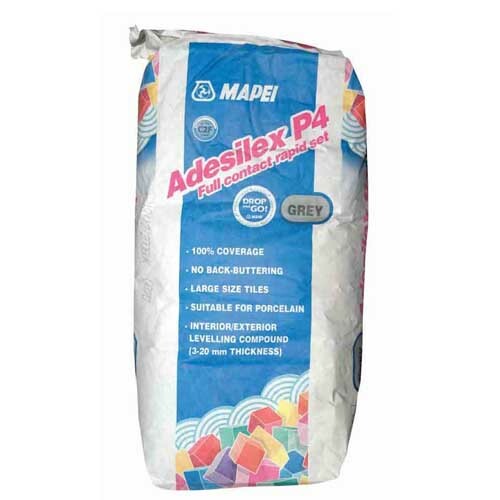 Adesilex P4 is a grey powder composed of cement and fine-graded mineral fillers, containing high quantities of synthetic resins and special additives according to a formula developed in the MAPEI Research Laboratories. Mapei Adesilex P4 can be used for floor bonding of all types of medium and large ceramic tiles, natural stone (if not sensitive to moisture or subject to surface efflorescence), terracotta, and terrazzo in interiors and exteriors. Mapei Adesilex P4 cures rapidly without significant shrinkage until it builds a sufficient bond strength. Mapei Adesilex P4 is a grey powder composed of cement and fine-graded mineral fillers, containing high quantities of synthetic resins and special additives according to a formula developed in the MAPEI Research Laboratories. Mapei Adesilex P4 can be used for floor bonding of all types of medium and large ceramic tiles, natural stone (if not sensitive to moisture or subject to surface efflorescence), terracotta, and terrazzo in interiors and exteriors. Mapei Adesilex P4 cures rapidly without significant shrinkage until it builds a sufficient bond strength. 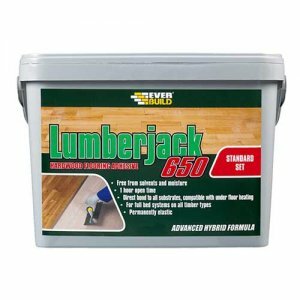 – Floor bonding of all types of medium and large ceramic tiles, natural stone (if not sensitive to moisture or subject to surface efflorescence), terracotta, and terrazzo in interiors and exteriors. – Smoothing compounds. Interior and exterior smoothing of all substrates generally used in building, provided they are clean, such as concrete slabs, cementitious screeds, and existing ceramic tile, terrazzo and natural stone floors. – Brick and concrete block walls. 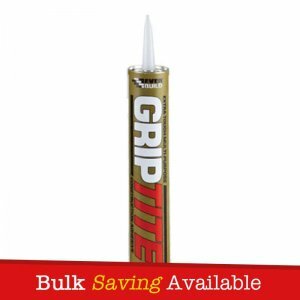 – Expansive mortar for brick or concrete block walls. – Total bonding of large size porcelain tiles on floors subject to heavy traffic, such as offices, shopping malls, hospitals and schools. – Bonding of stone material and terrazzo, including large sizes. – Setting quarry tiles, klinker or single-fired tiles on terraces and balconies. – Setting ceramic tiles of every type over all kinds of underfloor heating installations. – Overlaying of ceramic tiles and stone material on old floors (ceramic, natural stone, cement, terrazzo), as long as they are solid and perfectly clean. 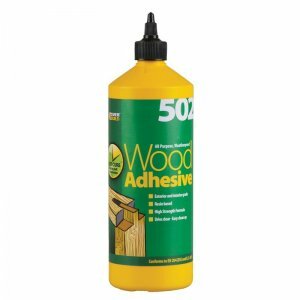 – Easy levelling and localised smoothing with rapid curing prior to fixing ceramic tiles. – Rapid replacement of tiles, when filling irregularities in the substrate is required simultaneously. – Bonding of brick and concrete blocks for building walls rapidly. – Semi-fluid and easily trowellable. – 100% back-buttering is guaranteed. With Adesilex P4 it is possible to obtain adhesive beds 3 mm to 20 mm thick without undulations, ideal for external installations and heavy traffic areas. – Able to absorb deflections of the substrate and tiles. 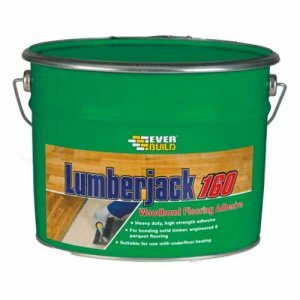 – Perfect bonding to all materials generally used in building. 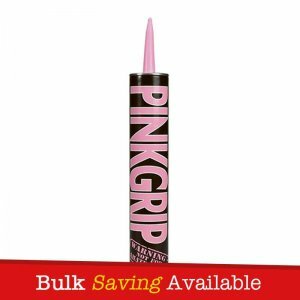 – Cures rapidly without significant shrinkage until it builds a sufficient bond strength. – Waterproof, weatherproof and resistant to frost.